It seems like it is always cold here in the North Country. The frosty nights of the fall, the blustery, bitter cold of winter and the chilly rains of spring make it challenging to stay warm. And the snow? You know about the snow. Mounds of it. Sometimes never ending, or so it can seem. Terry and George Cataldo enjoying a moment together on their home along the Independence River. But that never deterred George and Terry Cataldo. Married for 42 years, they’ve always been together helping out at their local church, attending a concert or community event, or volunteering at Constable Hall. A little cold weather has never slowed them down. 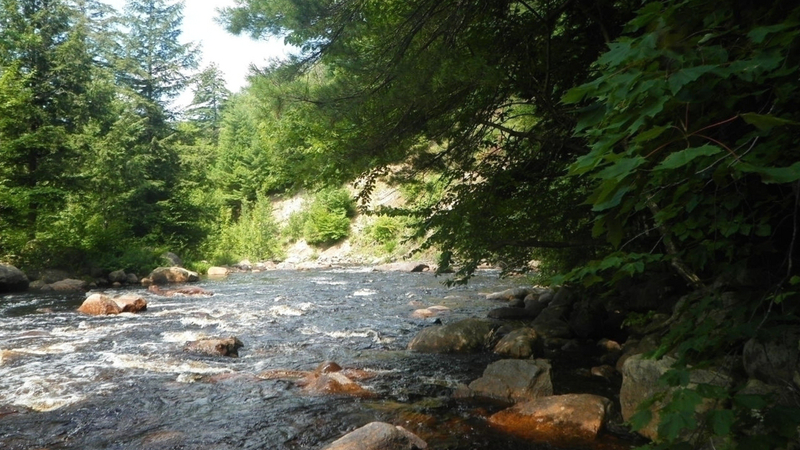 That’s partly because, like many here in Tug Hill, they’re hard workers and take pride in living in harmony with nature, managing their forest for wildlife and the water of the Independence River, as well as personal use. 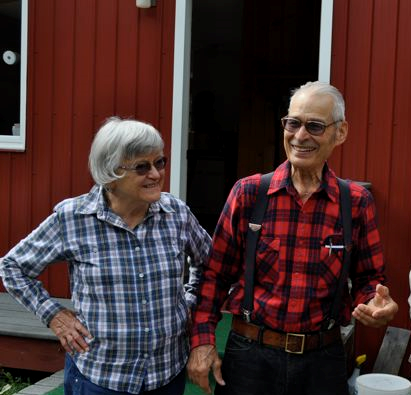 Now in their 80’s, the Cataldo’s recently conserved their land in the Town of Greig, ensuring that the wildlife and woodlands along the river’s edge will provide future owners the same inspiration and haven that it did for them. Their 254 acres of land will continue to be an important part of Tug Hill’s rural character for many generations to come. Dave Evan’s, Terry’s son, smiles when he hears this and nods his head. “My mom and step-dad have cared for this land together for over 40 years. It is almost like a sacred trust that they were blessed to receive and share with others,” reflects Dave.